Spanish and Latin Music with a flamenco flair. 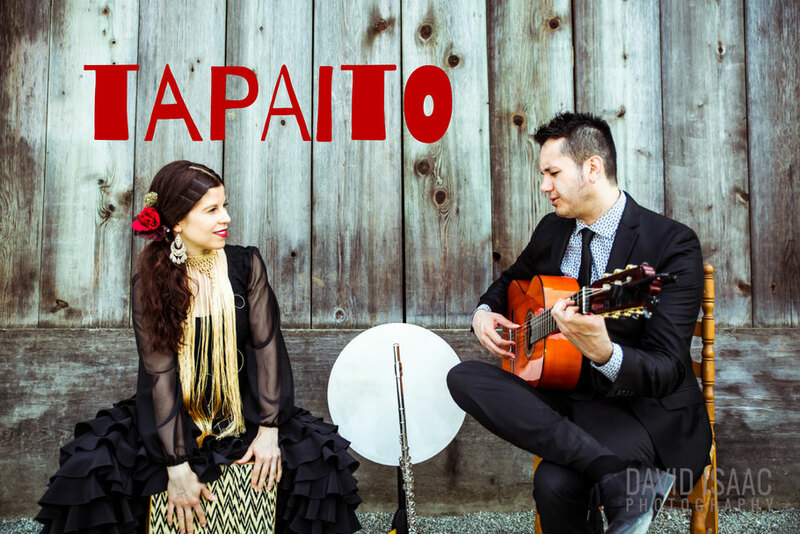 Tapaito is a one-of-a-kind duet that incorporates Latin flairs with Flamenco and some classical Spanish elements. Be prepared for an eclectic performance that includes Guitar, Flamenco dancing, Percussion, Ukulele, Traverse Flute and Singing. Tapaito (pronounced "Tapa - e - to") is the diminutive of "Tapao", a Flamenco guitar technique in which the strings are muted with the left hand while you strum with the right to create a percussive effect to which the dancer can create rhythmic patterns with his/her feet. In our Latin culture, calling something by its diminutive indicates tenderness and love. Tapaito is our beloved and dearest music project.